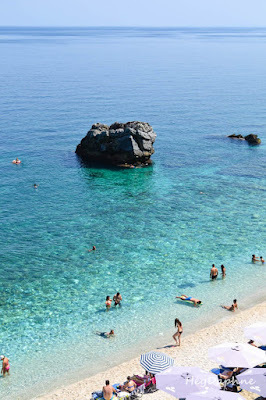 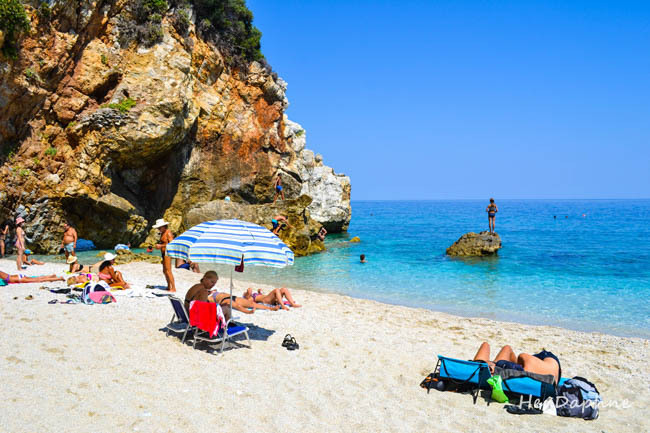 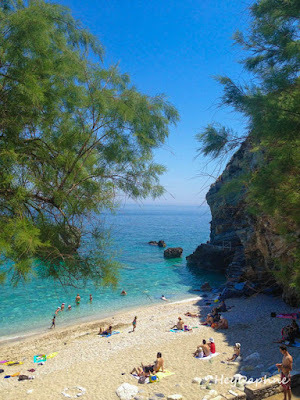 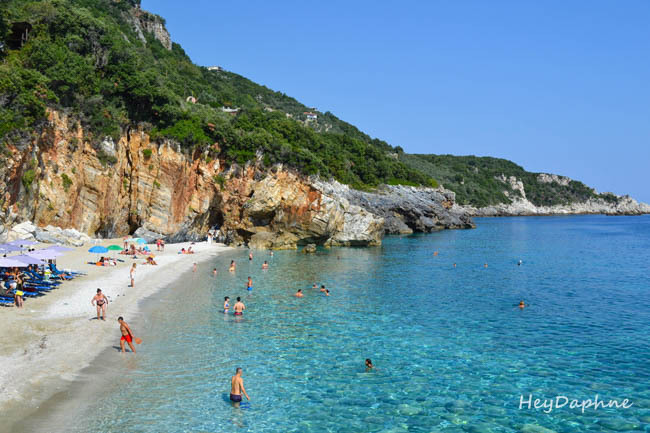 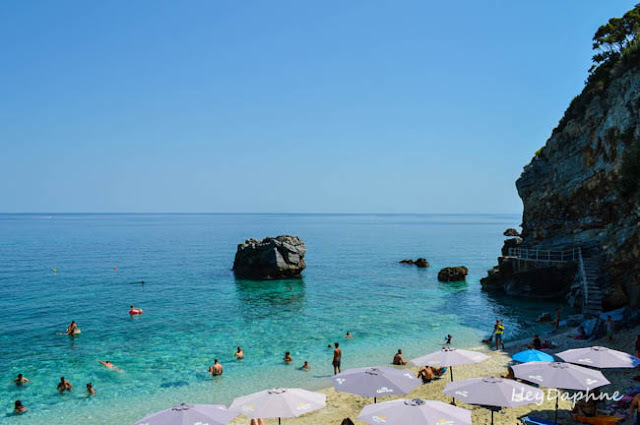 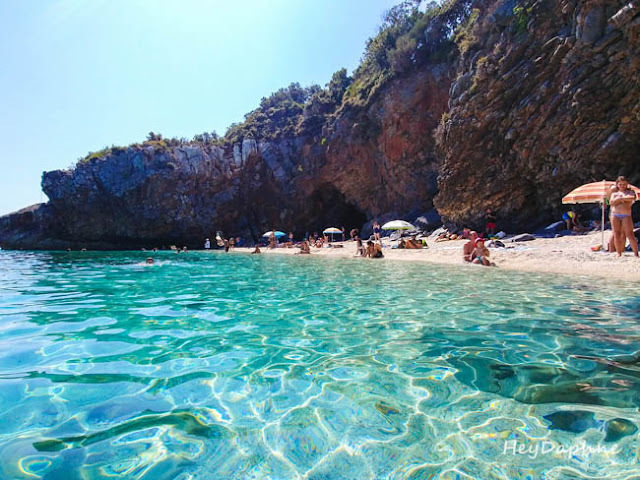 White pebbles mixed with golden sand, turquoise deep water, trees that reaches up to the point where the wave pops, rocks sculptured ornately by the winds and the waves.This is Mylopotamos, the most famous and perhaps the most beautiful beach in Pelion. This wild, almost exotic beauty of course results in the beach being crowded throughout the summer season. If you do not like crowds but want to enjoy the beach with some more quiet, now is the right time to go (or check the peaceful nearby beach of Fakistra, here!). 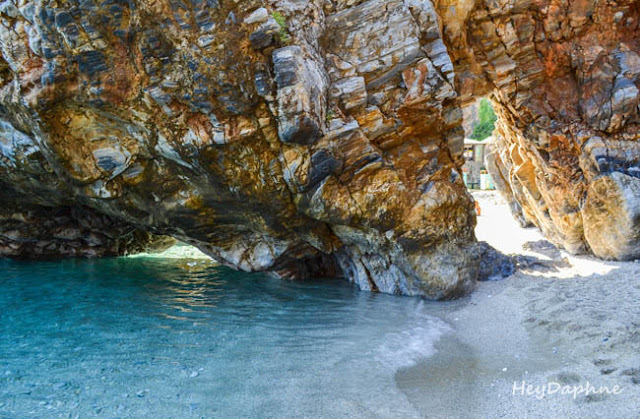 Having visited this beach a dozen times, I can tell you with confidence that September and May are the only months of the year when you can really enjoy the magic beach of Mylopotamos. On the other hand if you are one of those who prefer the month of August for your holidays, make sure to go to the beach early enough (before 10am). 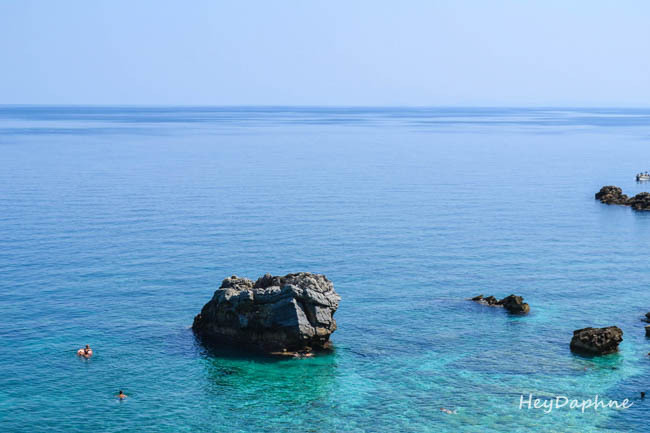 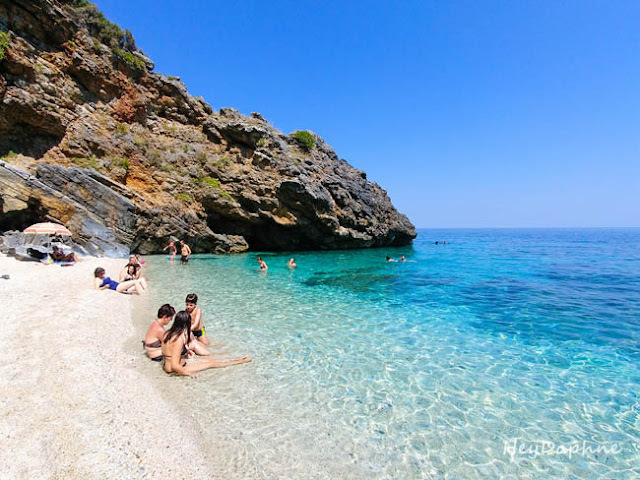 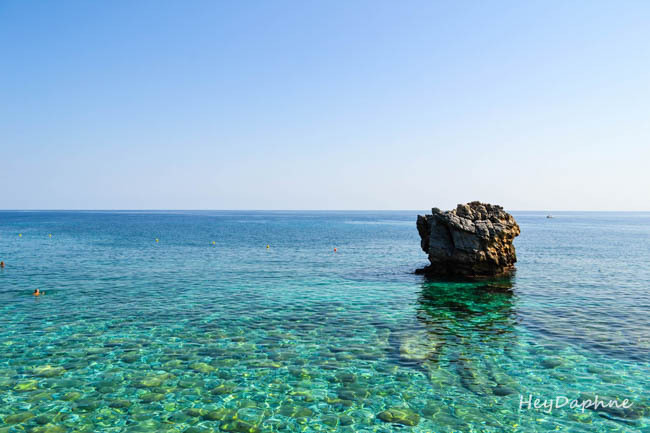 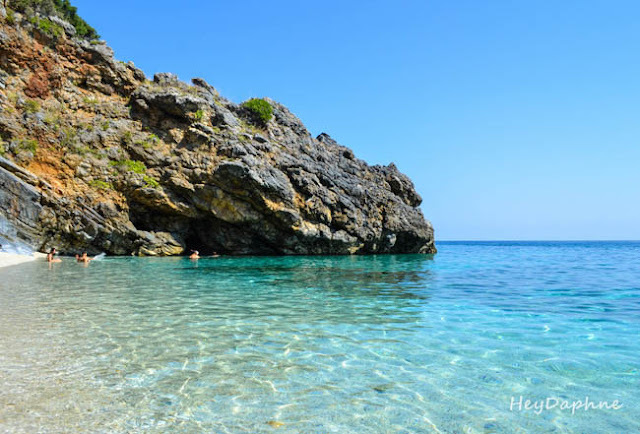 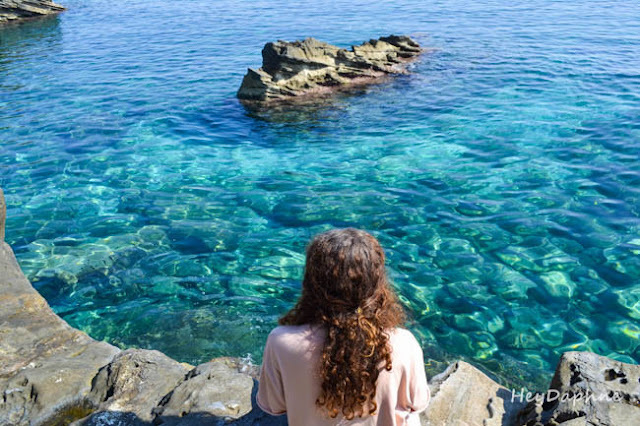 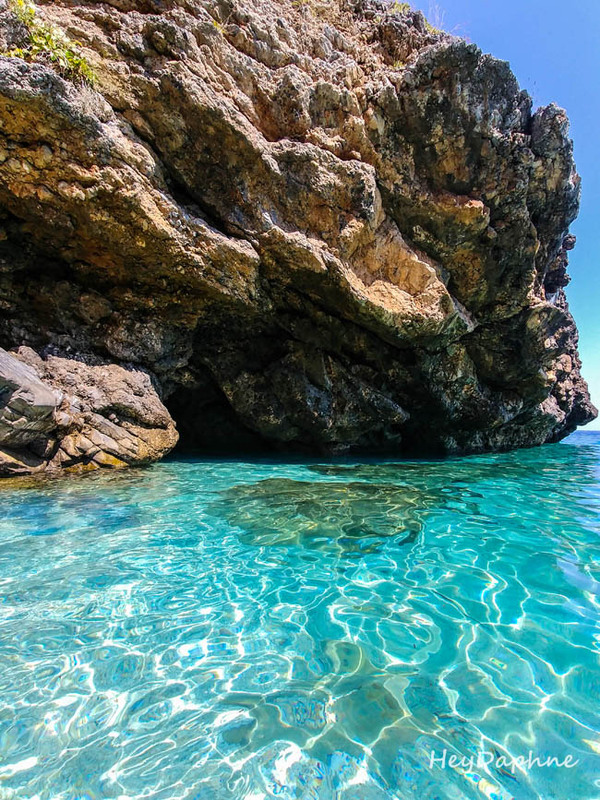 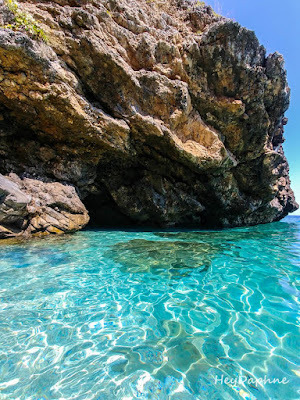 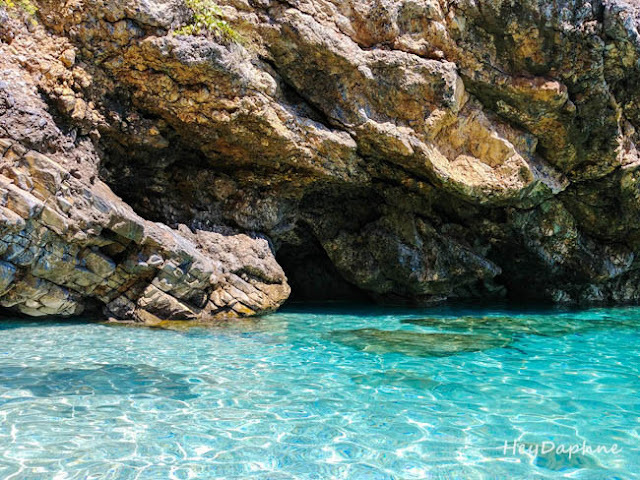 Mylopotamos beach is located 1.5 hours away from the city of Volos, while the nearest village is Tsagarada, which is 15 minutes away (read more about Tsagarada here!). 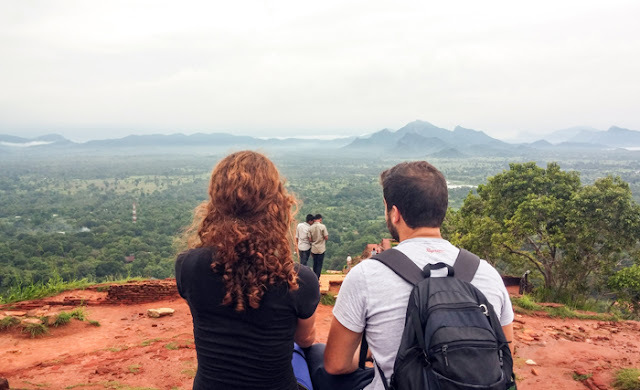 The road has a lot of turns, but it is not particularly tiring as the beauty of the landscape absorbs you. 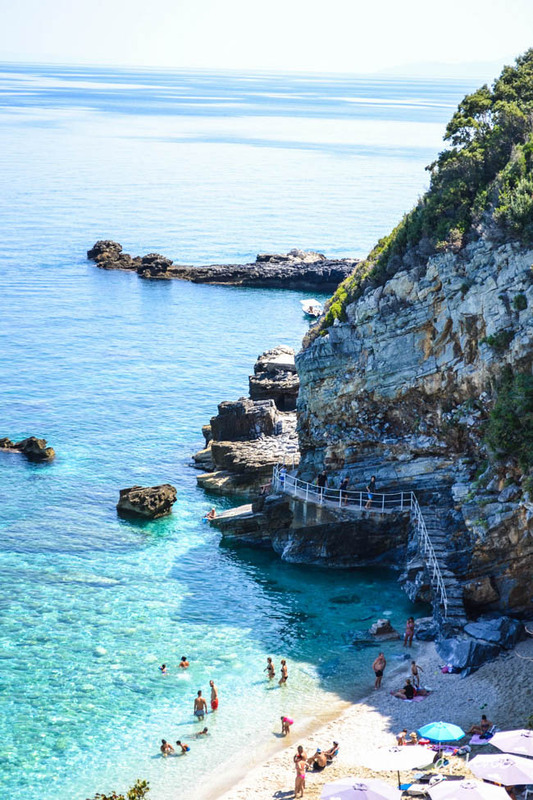 Access to the beach requires only a short walk and can be done in 2 ways. The first option is to get off the stairs that start next to the Aggelika's tavern at the end of the road, while the second is to follow the steps directly above the beach and pass by the beach bar. 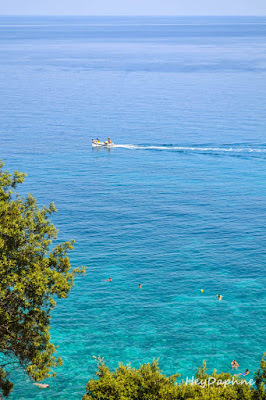 I always prefer the first route as it offers panoramic views of the beach. 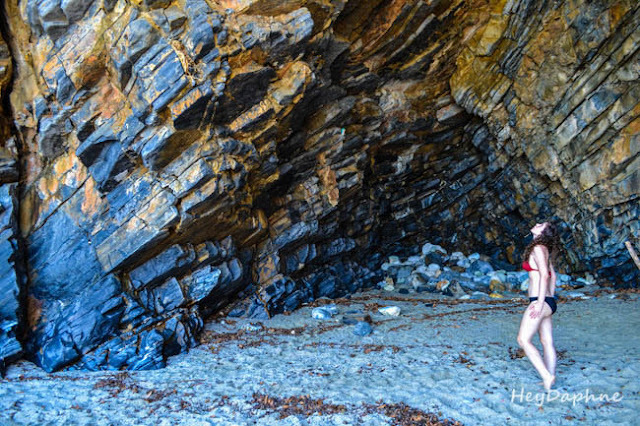 The beach is divided by huge rocks, which create a small natural arch from which you can pass from one side to the other. The first beach is larger and there is also a beach bar with umbrellas and sun loungers. The second beach is much smaller and shady, as the high rocks hide the sun most hours of the day, and there is also a large cave.